Chandigarh, India: Punjab Govt has approved an amendment to CrPC( Code of Criminal Procedure) to make the sacrilege of all the religious text punishable with Life Imprisonment. 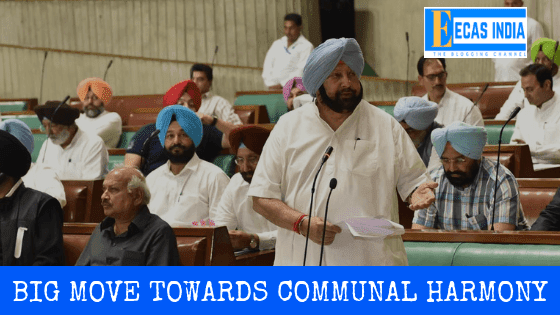 The Amarinder Singh's government has taken the major step curbing such incidents and maintaining communal harmony in the state of Punjab. The decision was taken at the meeting of the cabinet chaired by Punjab Chief Minister Captain Amarinder Singh. On the third day of the monsoon session of the Punjab Assembly, 6 bills were passed, including the amendment bill to enact a law to provide punishment for life imprisonment to the people manipulating the religious texts. During the last session, 3 bills were withdrawn and new bills were introduced. The Indian Penal Code Punjab Amendment Bill 2016, The Code of Criminal Procedure Bill and the Punjab Protestation of Interest of Depositors Bill have been withdrawn. This was announced by Public Works Minister Vijay Indra Singla and Finance Minister Manpreet Badal. Confiscation of property on fraud: Finance Minister Manpreet Badal presented the Punjab Prohibition of Interest of Depositors Bill 2018 regarding the safety of the interest of the creditors. 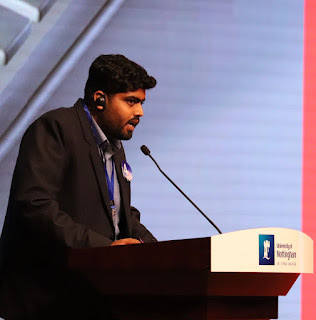 In the debate, Kulkarni Sandhwa of Aam Aadmi Party said that the accused arrested in connection with cheating Chit Fund companies got the VIP facilities and the government needs to come up with strict provisions. Finance Minister clarified that the property of the fraudsters would be seized and no advance bail would be found. D.G.P. Appointment Bill Pass: D.G.P. On the passing of the Punjab Police (Second Amendment) Bill 2018, regarding the amendment in the Police Act for an appointment, Kanwar Sandhu of Aam Aadmi Party said that the DGP should be the same, whose tenure should be for at least 2 years. They also gave him other suggestions. On this, Chief Minister Capt Amarinder clarified that besides the Chief Minister, there will be Home Minister, Leader of Opposition, Advocate General, Retired Judge, and 2 Chief Citizens Representatives. Other bills passed: In addition to the other bill passed, the amendment bills to provide all facilities in the rank of cabinet rank to the Leader of Opposition, establishment of Higher Education Council Council and Code of Criminal Procedure Amendment Bill.